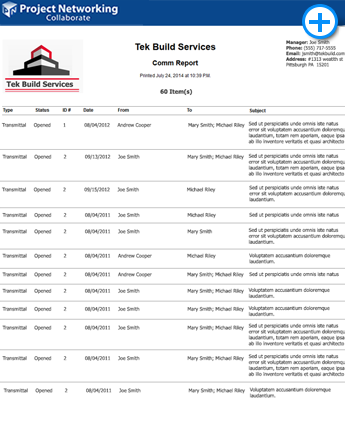 Reports: Conduct your Meetings with Professional Project Reports. 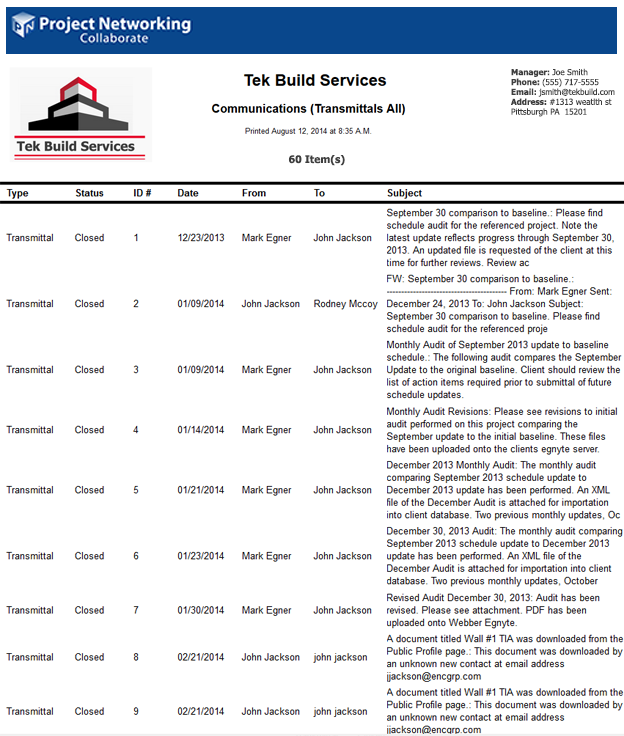 Requests for Information, or RFI reports, show where open RFI's are in the project workflow. 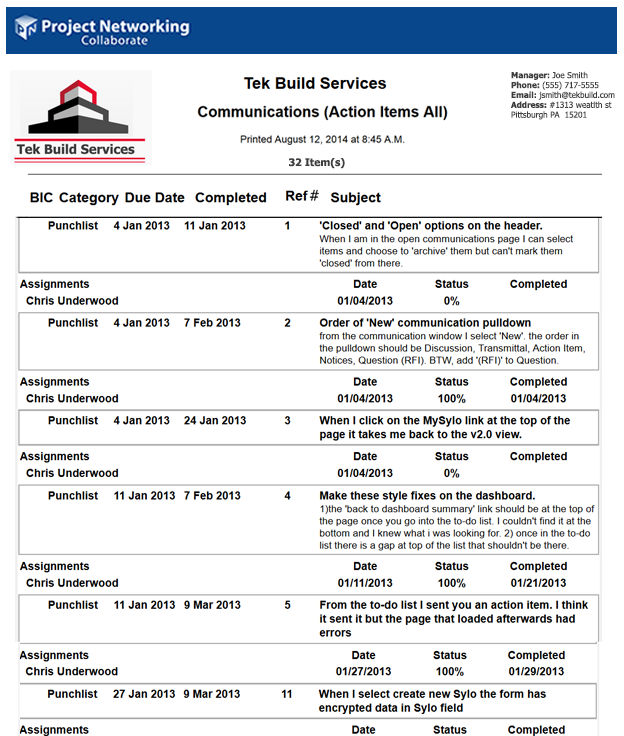 Reports for Action Items show open Punchlist or Hotlist items with due dates and status for each assignment. 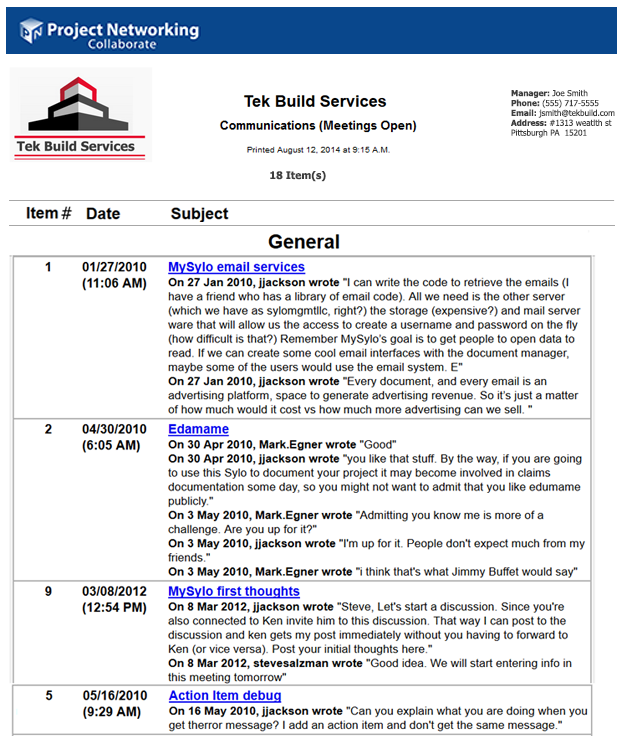 Discussion Reports (Meeting Minutes) show documented thread for each topic and Collaborator in the topic workflow. 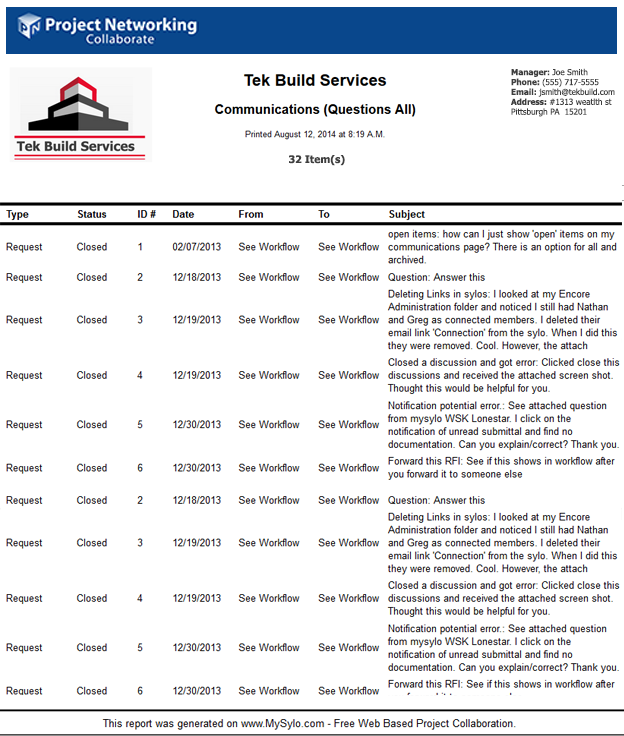 Print Professional Transmittal Logs for transmittals for meeting verification.